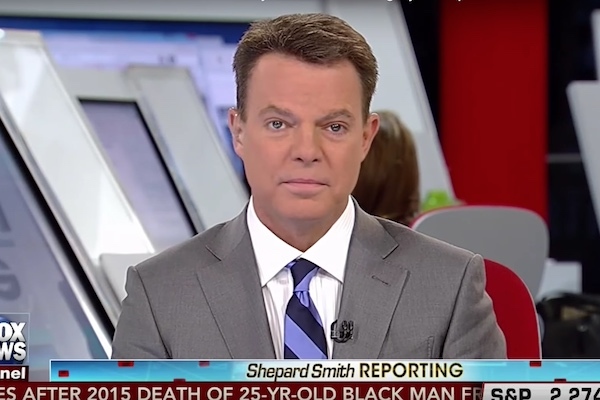 FOX News anchor Shepard Smith took time from his coverage of President-elect Donald Trump’s press conference on Tuesday to criticize Trump for “belittling” CNN for its report that Trump has been “compromised” by Russia. On Tuesday, CNN reported that intelligence officials presented Trump with information that Russian operatives have “comprising” information on the president-elect. BuzzFeed also published a similar report which included the 35-page dossier, which had not been verified. During the conference Trump refused to answer Jim Acosta’s, CNN’s chief white house correspondent, question about the report and called CNN “fake news.” Roberts also claims Trump’s White House press secretary threatened to remove Roberts if he asked a question. Smith notes that CNN’s report was “distinctly different” from BuzzFeed’s and defended the network against Trump’s comments. Boy, I really hate when these “journalists” try to present some double standard like the only thing that should be held sacred to the American people are the rights of the reporters.